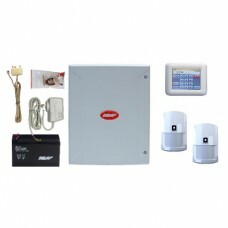 Designed to meet the demands of protecting your Home or business, the Hills Reliance NX8 alarm system with TouchNav keypad is the simplest security system to operate. 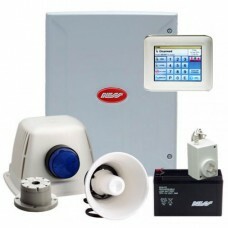 This Hills Reliance alarm system can be programmed to report a fire, medical or personal emergency to an alarm monitoring station offering the best protection for your family home, office or business premises. This Hills NX8 alarm kit including the latest 3.5″ TouchNav touchscreen keypad means you have simple fingertip control of your alarm. 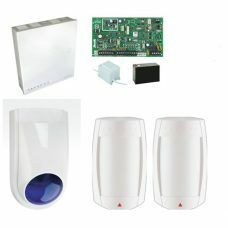 Combined with 2 Optex RX-40QZ Quad logic motion sensors, this Hills alarm system can provide 24 hour remote monitoring of up to 8 fully programmable zones via phone or an IP system. 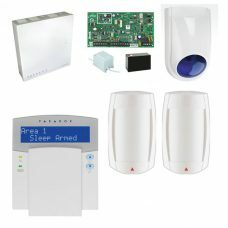 This alarm system also allows you to set a partial arm which arms just the external doors and windows making it ideal for home use at night time. One simple key press of a button on your HillsTouchNav Reliance code pad as you are leaving will turn on (Arm) your security system, simply enter your PIN code on a security code pad to turn off (Disarm) your security system when you return and ensure you are protected. Ideal for securing up to 16 zones, the Hills Reliance N128/ NX16 alarm system with TouchNav keypad is the simplest security system to operate. 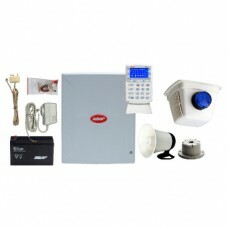 This Hills Reliance alarm system can be programmed to report a fire, medical or personal emergency to an alarm monitoring station offering the best protection for your family home, office or business premises. This Hills NX16 alarm kit including the latest 3.5″ TouchNav touchscreen keypad means you have simple fingertip control of your alarm. Combined with 2 Optex RX-40QZ Quad logic motion sensors, this Hills alarm system can provide 24 hour remote monitoring of up to 16 fully programmable zones via phone or an IP system. 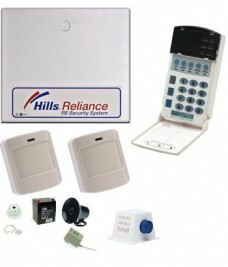 The Hills Reliance NX8 security system has been design using the most advanced technology available. It safeguards your family and your home against potential intruders. 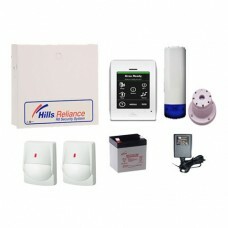 Hills Reliance offers both simplicity of use and extraordinary features . Ideal for all residential applications, and is expandable to meet the demands of a growing household.